I am Kona — the big Kahuna! 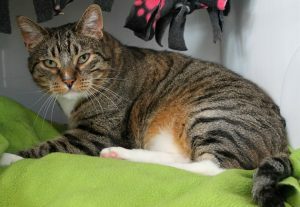 I’m a chubby and handsome 7-year-old boy with lots of belly to rub and purrs to give! 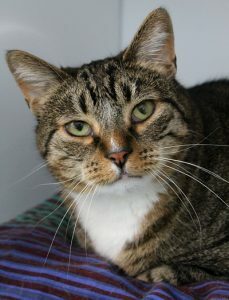 I’m super friendly and social and still a very playful cat with a knack for lap time. I could use as much play as you’ll give me, since I’m a little bit large! Although my chubbiness adds to my charm, I could definitely stand to lose a pound or two. Besides that, I have a clean bill of health and have a history of living peacefully around other cats. I’ve been non-reactive to dogs here at the shelter and would probably make a great friend for anyone — people and pets alike! I lost my lifelong home when my former owner had to make sudden life changes due to some hardships. I know I was really well-loved since I am extremely fond of people and can’t wait to find my new future home. Are you interested in meeting me? Come by Pixie today! I come to you fixed, vaccinated, and micro-chipped for an adoption fee of $100.